Derek is also the Quaestor and Factor of the University of St Andrews. He is responsible for providing strategic leadership in the overall development of the University’s non-academic services. This includes line management of a portfolio of University support functions. Derek joined the University in December 2002 as Financial Controller coming from NHS Scotland where he was Deputy Director of Finance & Property Development Manager of an NHS Trust. Prior to that Derek held a number of finance positions in industry.He was appointed Quaestor & Factor in 2003. He is the lead employer nominated Trustee of the St Andrews Superannuation & Life Assurance Scheme; the main Pension Scheme for the University’s non-academic staff. Derek is a Fellow Chartered and Certified Accountant. Keith was appointed Group Finance Director in April 2009. This role includes responsibility for all commercial aspects of the Group including financial management, treasury, IT and HR. Following a variety of roles in Audit and Corporate Finance with PWC and Lloyds Bank Plc, he moved into industry where he held senior global management positions within the international packaging sector with Borden Inc, Lawson Mardon and Alusuisse – Lonza Group. Other previous roles involved the reconstruction of two large private equity investments and developing , leading and delivering a transformational commercial culture change programme in a large public sector housing organisation in London. Keith holds an M.A. (Hons) in Accounting and is a Chartered Accountant , Fellow of the Institute of Directors and a Chartered Director. 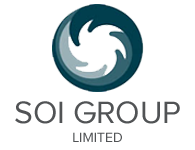 Joe joined the SOI Group team in September 2017 as Group Financial Controller and is responsible for the finance team. Joe brings with him extensive management and statutory accounting experience of working with growing companies. Before joining the group, Joe worked for RSM a leading provider of audit, tax and consulting services to middle market leaders. Joe is a qualified Chartered Accountant. Nicole works closely with the Group Financial Controller and the individual operating companies. As a Management Accountant she helps prepare, develop and analyse financial information so that each organisation’s management can make well-informed decisions. She is responsible for maintaining financial policies and management information systems, as well as providing a high-quality support service to management colleagues on all aspects of finance. Nicole joined us from DoubleTree by Hilton where she worked in hospitality. Nicole holds the MAAT qualification and is currently a candidate for the ACCA qualification. Angela joined the team in January 2018 as a Trainee Accountant and focuses on managing day-to-day financial operations, preparing information ,providing support and advice to the operating companies and reporting on the progress of the Group companies . She is responsible for maintaining appropriate operating procedures and management control systems together with assisting the Management Accountant in maintaining the Group’s financial records and systems. Katie joined the team in January 2019 as a Trainee Accountant and works closely with the Management Accountant to analyse results and provide support and advice to the Group companies. Katie is responsible for maintaining financial records of the Group companies and ensuring that relevant operating procedures are adhered to in order to provide high quality information to the finance team and wider Group. Katie joined SOI Group as a school leaver and will soon be starting studying towards the MAAT qualification.